You are currently on: Music students page. Open sub navigation overlay. School of Music students speak about how their programmes are equipping them with the skills to thrive in the modern music industry and extended creative avenues. Bachelor of Music (Honours) graduate Josiah Carr enjoyed his time as Auckland Philharmonia Orchestra’s Rising Star Young Composer-in-Residence. 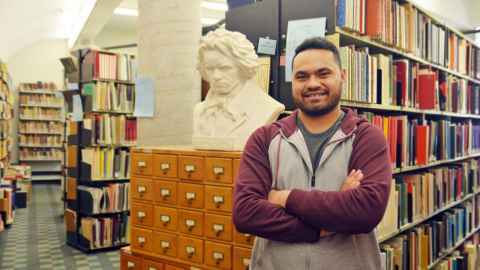 The Bachelor of Music (Classical Performance - voice) has led to exciting performance opportunities for Manase Latu. 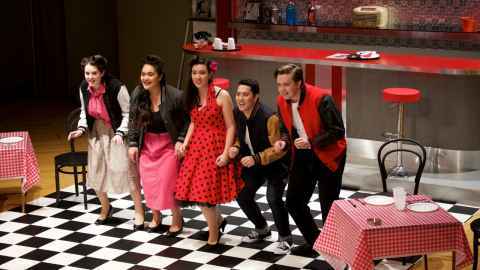 Anita Austin enjoyed the Bachelor of Music (Classical Performance) programme so much, she returned to complete her Honours year. Ivan Mouraviev’s studies in musicology have inspired him to cultivate his music production skills beyond university, and pursue music production as a career. 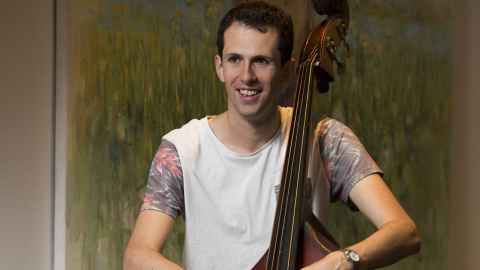 Denholm Orr, who is completing a Master of Music specialising in Jazz Performance, says the programme has set him on track for future employment. Sonic arts sets you up with skills in the technological world which you can then take into industry, says Bachelor of Music (Honours) student Garling Wu. 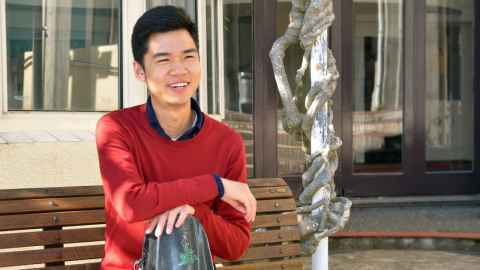 Master of Music graduate Martin Qi says the facilities at the School of Music are the best he’s encountered.